When a runner experiences the early signs of an injury, one of the toughest things to do is to ‘stop running’. Hannah Irwin discusses the importance of listening to your body. Listening to my body has never been something that has come easily to me. At times my determination has overpowered what I should be doing for my body, but I’m learning, it just takes time. I’m learning to listen. Looking back at myself at the beginning of 2018 a surge of frustration runs through me. 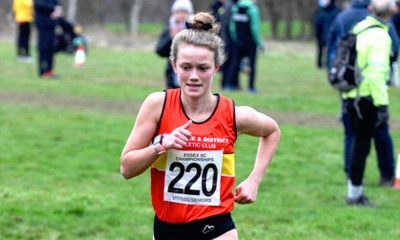 I left 2017 ranked second under-20 in the UK for 10k and was determined to improve on this. 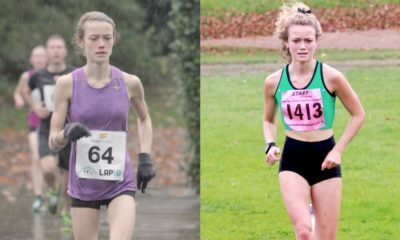 I had dealt with the effects of prolonged anaemia, got myself to a weight I was able to sustain whilst training after struggling with my eating, and things were looking positive; I was excited for 2018. I believed I was strong enough to achieve my goals for the year, but, I was wrong. Within two weeks I was hit with injury. With no one able to diagnose the shooting pain that protruded through both my calves, I continued to run. I was told the pain was psychological and consequently, I began to believe it. If my head was strong enough to override my body when it told me to stop, maybe the pain was psychological! It just didn’t make sense to me, I was desperate to run pain-free, surely the pain wasn’t just psychological? I finished run after run in floods of tears, due to the pain. In retrospect, I know I should’ve listened to my body screaming at me to stop, but I didn’t. I didn’t trust myself enough to know something was genuinely wrong, and I had to deal with the consequences. Finally, enough was enough. I decided to trust myself about the pain I was feeling and made a visit to a Sports and Exercise medicine consultant. Relief struck, following an MRI scan I was finally given a diagnosis. I wasn’t making it all up! Horror struck when I heard the prognosis. Having been told I had a grade four stress fracture in my left tibia (everything from a fracture, to bone marrow inflammation, to shin splints) and a grade three stress reaction in my right tibia (everything besides an actual fracture, but it was one run away from a fracture!). I knew the road to recovery wasn’t going to be simple. My life went from running, recovering and repeating, to resting, rehabilitation and repeating. With three months on crutches ahead of me, I knew 2018 wasn’t going to be the year I hoped for. As much as any runner doesn’t want to become injured and fears the prospect of it, I believe it truly was a blessing in disguise. I may not have wanted to think something was wrong, but it clearly was. Having to deal with the onset of a stress fracture highlighted how important listening to my body and taking care of it is. It is always better to stop if something doesn’t feel right and rest. If you carry on it may end up being 10 months! Prior to my injury, I was always running on the limit. I had no body fat buffer. Everything I ate immediately got burnt off, there was no excess. I was living on a very fine line. Although I am still not a big person, and never will be because of my build, I run fueled. I have increased my calorie intake and now have legs, not pins, as my mum would say. If my body is telling me I’m hungry, I listen. It’s asking me to repair it! Before I got injured I was unable to see how important eating enough of the right foods was. I didn’t listen to my body when it asked to be fueled and I didn’t listen to it when it asked for a break! As soon as I introduced something new, something extra to my training schedule, my body couldn’t deal with it. I had pushed it over the limit and the only way it could go was backwards. My body wasn’t strong enough to support what I was asking of it. Without realising, I was weak. I had pushed my body to the edge and I didn’t listen to it screaming at me to stop! My injury taught me to listen. Knowing what your body needs is extremely important. I have learnt to focus on my own journey and not compare my training to others. We are all different, what works for one person, may not work for another and we are all at different stages of our running careers. At the current stage of my journey, listening to my body and taking care of it is my priority, and this does, unfortunately, mean being cautious with mileage. I may not have achieved what I had hoped for so far, but I’m always learning and moving one step closer, mentally and physically. Being sanctioned to endure hours of aqua jogging whilst I was injured, I saw that I can develop fitness whilst doing other forms of training. Resorting to aqua jogging and cross training can be immensely beneficial and has been to me on my journey so far. At the stage I am currently at, injury prevention is key, I can’t risk overdoing it. Learning to listen to my body when it’s tired and switch training around is all part of the process of becoming a stronger, healthier, and hopefully faster athlete. There is so much more to running than just going out for a run, and listening is an essential place to start. We need to listen to our body; we only get one, it’s not worth breaking. 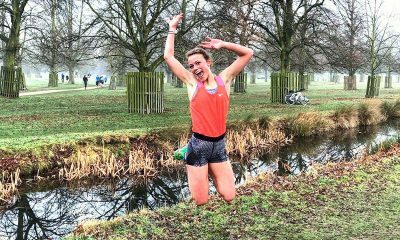 Hannah Irwin features in the ‘Fast 10: class of 2019’ and over the course of the year will share her running journey. You can follow Hannah on Instagram, while further information about the ‘class of 2019’ can be found here.